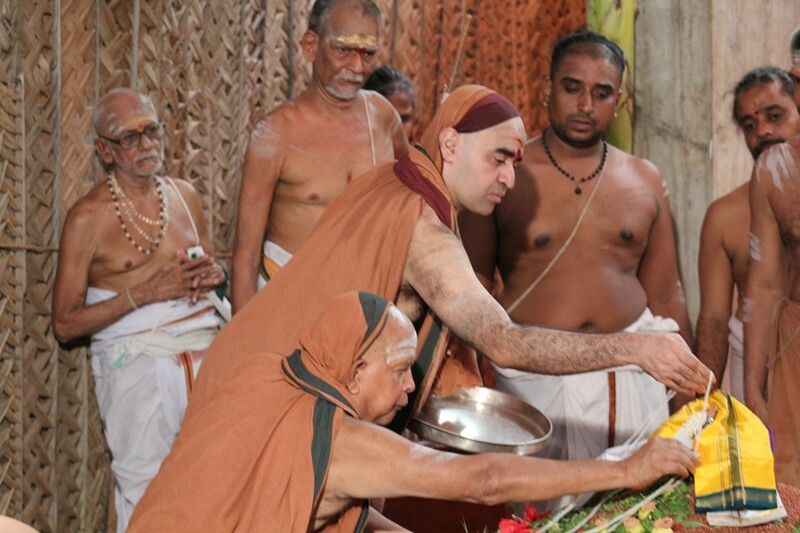 Vyasa Puja and Chaturmasya Vrata Sankalpa Mahotsava will be performed by Sri Kanchi Kamakoti Peetadhipati Jagadguru Sri Jayendra Saraswathi Shankaracharya Swamiji and Jagadguru Sri Sankara Vijayendra Saraswathi Shankaracharya Swamiji on Saturday - the 12th July 2014. Their Holiness will observed the Chaturmasya Vrata at Sri Sankara Matam, Kanchipuram for two months upto 9 September 2014. Various spiritual and cultural activities will be held during the Chaturmasya in the benign presence of Their Holinesses. Devotees are invited to participate and receive the blessings of Mahatripurasundari Sameta Sri Chandramouleeswara Swamy and Pujyashri Acharya Swamijis.